Black Friday 2018 - Save Big This Black Friday! 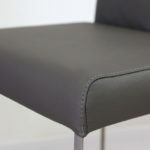 Cleaning Leather Furniture: What Products Work Best! We’ve all seen how to style a sideboard, coffee tables and shelves. 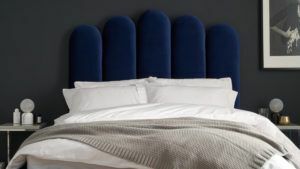 But when it comes to bedroom styling, it’s not enough just to get the furniture right. Styling your bedroom correctly will transform it from a place just to sleep, to where you want to spend your time. 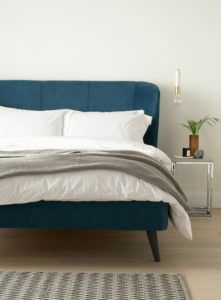 It’s these simple, homely touches that will finish off your bedroom and add plenty of personality. We’ve recently added a collection of beds to the Danetti family. So what better way to show you two different looks than with our new range of velvet beds! Available in Double, King and Superking, you’re bound to find the bed of your dreams. A key trend for interiors right now is dark, moody and rich colours. By using a dark colour in the bedroom, you will create the illusion of more space. All the while creating a cosy, snug room you can’t wait to be in. Although the thought of painting your bedroom black can be scary, that doesn’t mean your room will feel gothic and dark. If black walls aren’t for you, look at dark greys, berries, browns or blues to create the same look. 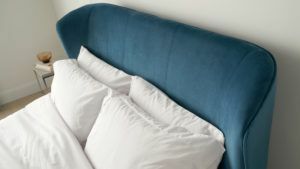 Just be sure to complement the colour of your chosen bed. It’s easier to paint your walls than buy a new bed! Stick to a minimal colour palette. 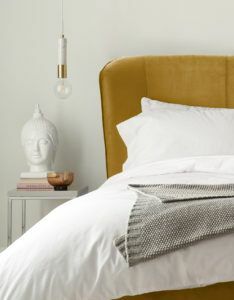 When you have a statement bed, you don’t want your styling to overpower your headboard. Choose colours within the same shade to create a complementary look and create a serene setting. You can’t beat fresh white sheets. White sheets are a classic. When you want your bed to stand out, keep bedding simple. Add a couple of tonal cushions for an added element of colour- but simple is always best. Clash your textures. 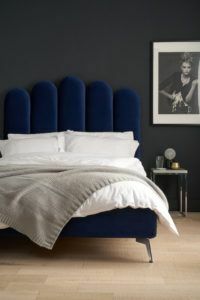 Velvet beds are beautiful and look super luxe. However, if you’re after a softer, more relaxed look, balance the smoothness of velvet with a chunky knit and cool metallics like brass and copper. These metallic finishes will lift the styling and add a layer of luxe. Mimic shapes. 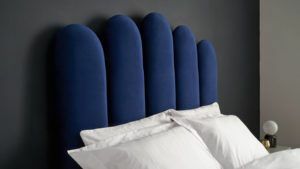 Where the Rene bed has an Art Deco-inspired curved headboard, we’ve chosen the Pablo table lamps as our bedside lights. The spherical shade and arched marble base mimic the shape of the Rene bed, tying the look together. The marble texture also adds another modern art deco vibe. Dark walls aren’t for everyone. Dark rooms will feel cosy in the evenings, however, if you struggle to wake up in the mornings, think about a clean, bright white bedroom. This way you will keep light bouncing around your room, and introduce colour through your furniture, rather than walls. Our second bedroom decor look differs from the Rene bed in almost every way, except for one thing; the statement velvet headboard. 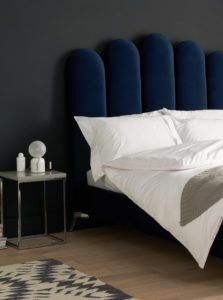 Available in Teal, Ochre or Pepper Grey Velvet, our Mellow bed is the most perfect way to inject a splash of colour into a white bedroom. 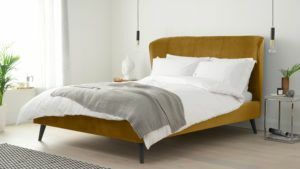 Whether you’re a fan of a clean, scandi style, or a more eclectic, vintage look, the Mellow bed suits any interior style. Wooden floors need a rug. It’s a big trend at the moment to pull up the carpets and show of your exposed floorboard (if you’re lucky enough to have them). However, this can make your bedroom feel cold, so always ensure you have a rug in your bedroom. You can choose an area rug, to sit under and around the base of your bed, or a couple of runners either side, just to keep your toes toasty on cold mornings. Warm things up. 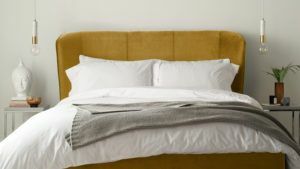 As we get into the winter months, make your bedroom a snuggly, hygge space with chunky knits and sheepskin rugs. It’s these soft elements which will create that cosy cocoon you won’t want to leave. Style your bedside tables simply. Don’t over-do the bedside table decor. Choosing hanging pendant lights will keep your table top clear, although this doesn’t mean you have more space for clutter! A simple stack of your fave books, a pretty vase and a relaxing candle should be more than enough. We hope you love our new range of beds, although, we’ve only shown you two! We have a whole range of newness for you to see right here. Tell us which bed you would choose and how you’d style it. Don’t forget to tag us in your #mydanetti shots on Facebook and Instagram, and we hope you too will create a calm and relaxing bedroom.